Curious to know the value of your property in today market? Would you like to have a free no-obligation appraisal on your home? Call for your free presentation. Or come to our Office! Merit Group Realty has extensive marketing techniques and we can show you how we can get you TOP DOLLAR IN TODAY’S MARKET! Call one of our Sales Associates today, set an appointment or come in to our office we will be glad to help you! Open houses, list property on top websites, extensive internet marketing as well as print. We also advertise worldwide thru our affiliation with Bloomberg Marketing. Merit Group Realty has offices in Manhattan,49 Street and Madison Avenue and Sunnyside, Queens with qualified buyers ready to buy property. Our marketing team reaches agents in your area as well as worldwide. We are members of Rebny, MLS, and National Association of Realtors. Approved agents of HUD property. 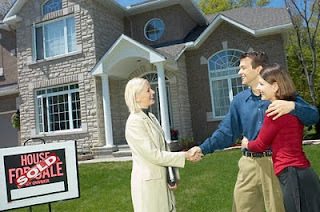 We have qualified pre-approved mortgage buyers ready to buy and see. There are 101 reasons why a seller should use a Realtor! Let us show you how the 101 reasons are practiced at Merit Group Realty and why we our Sellers have peace of mind! The knowledge, experience and hard work our agents provide sellers to help you through a real estate transaction 101% of the way!